I ended my last post with this verse, "If God is for us, who can be against us?" (Rom. 8:31) Right now I find great comfort in this verse. Almighty God-----for ME. But it occurred to me that the confidence that this verse inspires or doesn't depends a lot on our current opinion, impressions, or belief system about who God is. Ladies, you will know what I mean by this statement: All mirrors are not created equal. Can I get an, "Amen"? I have two mirrors in my house big enough to show me all that I need to see. In one of the mirrors I usually look great. It flatters me and makes me look my best. I call it my skinny mirror. The other mirror, well not so much. If I look in THAT mirror before going out I feel dumpy and not so good about myself. I've come to think that reality is somewhere between my two mirrors and so can adjust my thoughts about my current outfit accordingly. Or I can just stick with my skinny mirror! I think how we 'see' God, how much trust we put in Him, how much faith and hope we have in Him are directly representative about what 'mirror' we're seeing Him through. Are we in a place where our minds are filled with distress and doubt and therefore have distorted our image of Him? And, therefore, ourselves. If so, we need to stop and stare and refocus our view by the Truth of Who He Is. Some of us always have a sound track of music in our minds. Some of the songs are quite short-termed; music that we've been listening to recently, the irritating but catchy song that we just heard walking through the store. Then there are the songs that resurface from our deepest, default memories when our minds are pretty blank otherwise and we just feel like singing. Songs that have inspired us, challenged us, made us who we are. Not that I have always walked every single day in hope. Not that I have always been a source of hope for others. But when whatever happens in my life, whatever layers are of things that shouldn't be there are stripped away, whatever lesson I end up learning, it always seems to somehow come back around to hope for me. 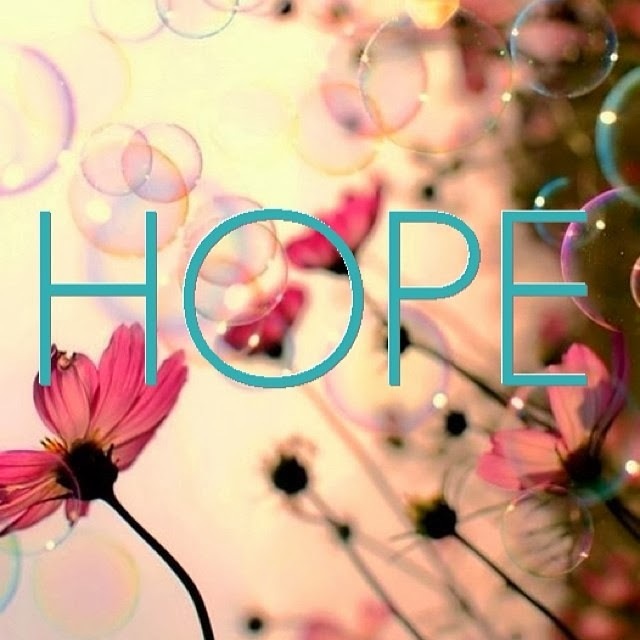 "Hope isn't about knowing how things will come about. I had fun recently selling some jewelry I've had for ages and getting some new things that make me smile instead for my next season of life. Since working at an artisan jewelry shop before I had my first child, I see jewelry as an art form and wanted a few things that not only brought me joy to look at but meant something to me as well. A while back my daughter's hope had fled. I felt helpless. I didn't know what to say or how to best support her. 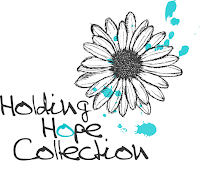 I was just muddling along day by day trying to show love and hope fueled by His. So I got this. 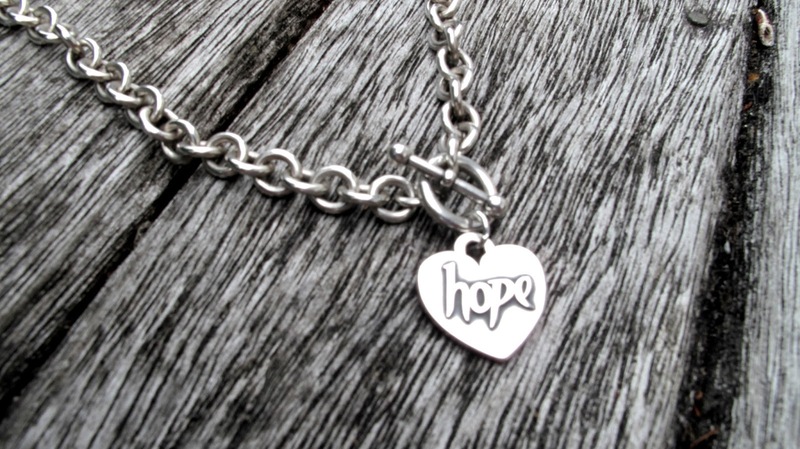 I want her to see hope 'fastened around (my) neck' (Prov. 6:21) when she looks at me. A tangible reminder. It's surprised me, however, that there are days when I struggle to wear this myself. Days when I find myself shying away from the word 'hope'. Those are the days I realized that I need to clean my mirror that lets me see my Father. Unfog the reflection of my heart. So I guess you could say this visual representation of a concept has become a barometer of my own heart as well. Hope fastened around my own neck challenged me instead. "Resting in the imperfections of today because you believe that tomorrow there is possibility." And embracing that NOW. Our son, Aaron, got to go to an adventure camp this past week. (Thanks, Mark and Kerrie!!!) An awesome thing for a 15 year-old boy. We picked him up at the bus depot last night and as he exited the bus I looked forward to seeing a big, happy smile on his face. But there wasn't! While he'd had a fantastic time, a few days before he'd hit his mouth on a rock while white water rafting and couldn't. His swollen, cracked and puffy mouth was just too sore. May we find a clear vision of who God is so we can have hope in our hearts today. But let us also look for those whose hearts have been bruised and are sore, who can't smile for themselves, and model a life filled with incomprehensible, irrational, irrepressible hope for them as well.